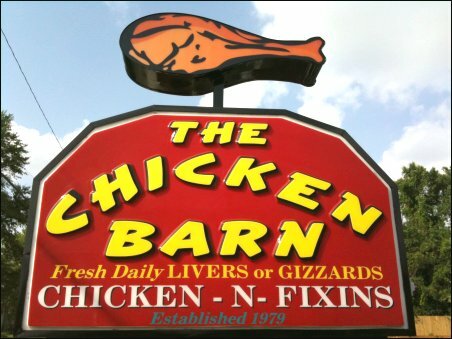 The Chicken Barn was established in 1979. We have been serving downtown Smithfield and surrounding communities for decades. We are located approximately one mile from I-95, take exit 95 for your convenience. We are joined with 7th Street Market Place Marathon, which is also convenient for pick-up items and gas. Our menu consists of our original recipe chicken and full line of vegtables. We also have fresh livers and gizzards, plus grilled chicken for sandwiches and salads We carry a full line of homemade desserts daily and some breakfast biscuits all day. 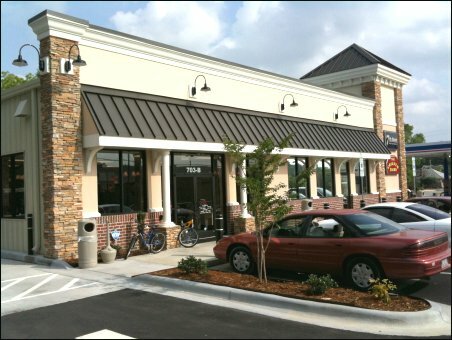 We have large dining room for eat-in and drive-thru window for your convenience. You can call-in, take out or eat-in! We want to say "Thank you" to everyone for dining with us.